See the Great Shelford Families and Linton Families pages for earlier generations. John's great grandfather John MARIS was born in Cambridge in 1845 the eldest son of Richard MARIS and Frances MORRIS. He moved to Northampton, presumably in search of work in the boot & shoe industry, and married a Cambridge girl named Ann SPENCE in Northampton in 1868. John worked as a shoemaker and later as a shoe finisher. Ann also worked as a shoe fitter. They began their married life at Gladstone Terrace, but moved to Adelaide Street as their family grew to seven children. They remained there until their deaths in 1915 and 1914 respectively. John was active in the training of athletes. Of John's siblings Elizabeth (b.1848) married John DAWSON a travelling draper. The family was enumerated in their travelling draper's van in Warmington, Northants in 1871. Frederick (b.1849) worked as a labourer in Cambridge and had one child. Edmund (b.1856) followed in his elder brother's footsteps and became a shoe finisher in Northampton. He lodged with John in Gladstone Terrace until his marriage to Emma. The couple were childless. Richard (b.1858) was with John and Elizabeth DAWSON in Warmington in 1871. He then married Martha WIGGS in 1877 in Northampton where he worked as a boot finisher. Richard and Martha had thirteen children. Formerly Northampton's oldest "newsboy" Mr Bill Maris died on Wednesday at St Edmund's Hospital, Northampton, aged 89. 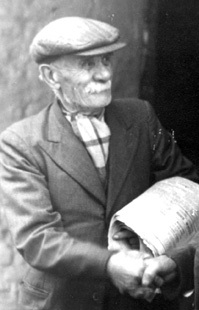 Mr Maris, who lived at 16 Semilong Place, Northampton for about 50 years until admitted to hospital last year, had delivered papers on his own Semilong round in Northampton for many years. He retired in 1958. Born and educated in Northampton, Mr Maris was a hand finisher, working at home, until an injury to his hand forced him to give this up. He started to assist his son, the late Mr William Maris, with his newspaper round some years later. He was a keen sportsman in his youth, running being his main interest. He was also interested in pigeon racing. Mr Maris is survived by his wife, Mrs Eleanor Maris, his sons Mr James Maris and Mr George Maris, and his daughter Mrs Ada Hill, all of Northampton. He leaves seven grandchildren and one great grandchild. 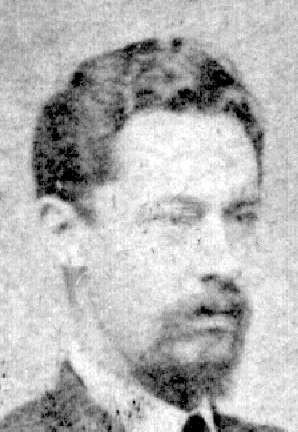 Of William's siblings John (b.1869) married Sarah ELSON and had six children. He worked as a shoe finisher and the family lived in Salisbury Street, Kingsthorpe. Frances (b.1875) married Joseph RICKARD a shoe sole cutter and had two children. Frederick (b.1878) married Sarah Ann FAIREY and had three children before his death whilst working for the British United Shoe Machinery Company in Ireland. Harry (b.1880) married Polly and had one son before his death in 1912. James (b.1882) married Florence PARKER in 1920 and had three children. He played for Northampton Town Football Club for a time and lived at Britton Road and Holly Road in Northampton. Ada Jane (b.1896) was living at home in Adelaide Street and working as a shoe fitter in 1901 and died in 1908. John's father was born in February 1909 the eldest child of William MARIS and Eleanor BAZELEY. The family lived at 16 Semilong Place and Jim attended St George's Primary and Campbell Square Secondary schools before starting work in the shoe trade with Allinson & Co at the age of 14 in 1923. Apart from war service, Jim remained with the same employer being granted free life membership of his Trade Union in 1975 after 50 years of continuous membership. Jim served in the Territorial Army from 1928 to 1932 spending most of that time as a driver with the Royal Tank Corps. In 1937, he married Emily May GUTTERIDGE in Northampton. From 1941 to 1946, he served as a vehicle mechanic with the Royal Army Service Corps in the UK and with the Royal Electrical & Mechanical Engineers in West Africa & Italy. After the war Jim settled back into family life and graduated from operating a levelling machine to become a skilled operator of a stitching machine making "top of the range" footwear. Following John's mother's death in 1973, Jim married Kate "Kit" WOODING (Nee DUNKLEY) in 1980. After Kit's death in 1988, Jim lived alone in St James maintaining his independence until his death in 2002 at the age of 93. We have published a book about Jim's life and his family history. It can be previewed on Lulu.com. The East Anglian Film Archive has a 1965 Anglia Television documentary showing Jim clocking on for work at Allinson & Co. He can be seen about one minute twenty seconds from the start. 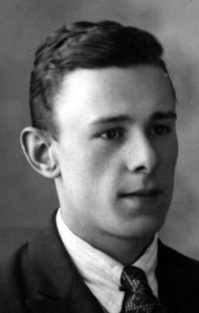 Of Jim's siblings William (b.1910) and George (b.1913) both worked in the shoe trade. William died in Northampton in 1960 and George in 2000. His sister Ada (b.1912) died in 2005.